What does it mean to be poor? How is poverty measured? Third World countries are often described as developing while the First World, industrialized nations are often developed . What does it mean to describe a nation as developing ? A lack of material wealth does not necessarily mean that one is deprived. A strong economy in a developed nation doesn’t mean much when a significant percentage (even a majority) of the population is struggling to survive. Human development is about much more than the rise or fall of national incomes. It is about creating an environment in which people can develop their full potential and lead productive, creative lives in accord with their needs and interests. People are the real wealth of nations. Development is thus about expanding the choices people have to lead lives that they value. And it is thus about much more than economic growth, which is only a means—if a very important one—of enlarging people’s choices. At household, community, societal, national and international levels, various aspects of the above need to be provided, as well as commitment to various democratic institutions that do not become corrupted by special interests and agendas. Yet, for a variety of reasons, these full rights are not available in many segments of various societies from the richest to the poorest. When political agendas deprive these possibilities in some nations, how can a nation develop? Is this progress? Politics have led to dire conditions in many poorer nations. In many cases, international political interests have led to a diversion of available resources from domestic needs to western markets. (See the structural adjustment section to find out more about this.) This has resulted in a lack of basic access to food, water, health, education and other important social services. This is a major obstacle to equitable development. In August 2008, the World Bank presented a major overhaul to their estimates of global poverty, incorporating what they described as better and new data. The World Bank’s long-held estimate of the number of people living on the equivalent of $1 a day has now been changed to $1.25 a day. The World Bank also adds that the previous $1 a day estimate for the international poverty line would have been $1.45 a day at 2005 prices if only inflation was accounted for. The World Bank notes that the incidence of poverty in the world is higher than past estimates have suggested. The main reason is that [previous data] had implicitly underestimated the cost of living in most developing countries. The data also does not reflect the recent global food crisis and rising cost of energy, which is feared will bring another 100 million into poverty. Accounting for the increased population between 1981 and 2005, the poverty rate has, however, fallen by about 25%. As a result, the World Bank feels that while China is on target to reach the Millennium Development Goals to reduce poverty and tackle various other issues, most other countries are not. Poverty lines shown here include $1 a day, $1.25 a day, $1.45 a day, $2 a day (typical for many developing countries), $2.50 a day (which includes a poverty level for some additional countries), and $10 a day, which a World Bank report referred to if looking at poverty from the level of a wealthy country, such as the US. For the numbers on $10 a day, see Martin Ravallion, Shaohua Chen and Prem Sangraula, Dollar a day revisited, World Bank, May 2008. They note that 95% of developing country population lived on less than $10 a day. Using 2005 population numbers, this is equivalent to just under 79.7% of world population, and does not include populations living on less than $10 a day from industrialized nations. While poverty alleviation is important, so too is tackling inequality. Inequality is often discussed in the context of relative poverty, as opposed to absolute poverty. 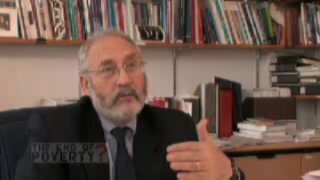 That is, even in the wealthiest countries, the poor may not be in absolute poverty (the most basic of provisions may be obtainable for many) or their level of poverty may be a lot higher than those in developing countries, but in terms of their standing in society, their relative poverty can also have serious consequences such as deteriorating social cohesion, increasing crime and violence, and poorer health. Some of these things are hard to measure, such as social cohesion and the level of trust and comfort people will have in interacting with one another in the society. Nonetheless, over the years, numerous studies have shown that sometimes the poor in wealthy countries can be unhappier or finding it harder to cope than poor people in poorer countries. About 0.13% of the world’s population controlled 25% of the world’s assets in 2004. The wealthiest 20% of the world’s population consumes 76.6% of the world’s goods while 80% of humanity gets the remainder. Professors Richard Wilkinson and Kate Pickett, from the Equality Trust, produced an informative lecture video titled Inequality: The enemy between us? based on their recently released book, The Spirit Level; Why More Equal Societies Almost Always Do Better (Penguin, March 2009). As they studied the data for industrialized nations, they noticed a clear tendency for countries which do badly (or well) on one outcome to do badly (or well) on others. Whether their findings are tested internationally among the rich countries, or among the 50 states of the USA, there is almost always the same tendency for outcomes to be much worse in more unequal societies. In other words, economic growth is important when developing, but after that equality may be more important. Violence is more common in more unequal societies, Evidence: Violence, The Equality Trust, 2009. From the source for the above graph, the Equality Trust notes that, The link between inequality and homicide rates has been shown in as many as 40 studies, and the differences are large: there are five-fold differences in murder rates between different countries related to inequality. The most important reason why violence is more common in more unequal societies is that it is often triggered by people feeling looked down, disrespected and loss of face. Social mobility is higher in more equal rich countries, Evidence: Social Mobility, The Equality Trust, 2009. It may be surprising to see the US at the low end of social mobility when it is touted as the land of dreams and possibilities for anyone, no matter who they are. The UK is also surprisingly at the low end. It looks as if the American Dream is far more likely to remain a dream for Americans than it is for people living in Scandinavian countries. Greater inequalities of outcome seem to make it easier for rich parents to pass on their advantages. While income differences have widened in Britain and the USA, social mobility has slowed. Bigger income differences may make it harder to achieve equality of opportunity because they increase social class differentiation and perhaps prejudice. The implications of all these findings are important in many ways. For example, it is often said that to develop and industrialize, developing nations’ carbon emissions must increase, as industrialization implies a more energy-intensive economy. However, what is less discussed is whether that means carbon emissions of poorer countries must be similar to today’s industrialized nations. Many of today’s industrialized nations are often seen as over consuming with respect to the planet’s health (climate change being something largely a result of greenhouse emissions from wealthier nations, for example). Addressing inequality implies tackling many, many social, political, economic and environmental issues, for they are all inter-related in many ways. Further below there is more about poverty in industrialized nations, but first, some more on inequality. The US for a long time has had the largest gap and inequality between rich and poor compared to all the other industrialized nations. For example in 2003, the top 1% received more money than the bottom 40% with the gap widest in 70 years. Furthermore, in the last 20 years while the share of income going to the top 1% has increased, it has decreased for the poorest 40%. Inter Press Service also summarizes an updated report by the US Census Bureau that 1 in 7 people in the US are in poverty. In 2009, 43.6 million people — 14.6 percent of the population — were living in poverty in the U.S., up from 13.2 percent of the population in 2008. The United States currently has the highest number of people in poverty it has ever had since the government began counting in 1959, although the percentage of people this represents is lower than it was then (due to the increased population size since then). IPS also notes factors such as the global financial crisis, stagnant wages and more contribute to this deepening poverty. But the article also adds that the poverty estimate may be understated because of assumptions made in calculations years ago and changes in costs of living since then as well as regional differences. The US Congressional Budget Office released updated figures for US household income between 1979 and 2007 which showed that the top 1% were driving the main increases in income. Their income had grown some 275% over that period, some 7 times more than the remaining 99%. This is likely to add fuel to the so-called Occupy protest movement in the US and around the world, where in the US in particular, we are the 99% (or its variations) are popular slogans in the protests against the current economic conditions and those who largely caused it or are benefiting from it. Factors included more market income in the top percentages, a larger increase in wage rates for those at the top, increases in corporate pay, the expansion of technology disproportionately benefiting those at the top, increasing pay for those working in the financial and legal professions, the expansion of financial services, etc. As a result of that uneven income growth, the share of total after-tax income received by the 1 percent of the population in households with the highest income more than doubled between 1979 and 2007, whereas the share received by low- and middle-income households declined…. The share of income received by the top 1 percent grew from about 8 percent in 1979 to over 17 percent in 2007.… In 2007, those shares were 53 percent and 47 percent, respectively. In 1979, the top 1 percent received about the same share of income as the lowest income quintile; by 2007, the top percentile received more than the lowest two income quintiles combined. Nobel prize winner for economics, Paul Krugman, comments on earlier CBO data that even within the top 1% the big gains have gone to the top 0.1%. The 99%/Occupy protest movement is aiming too low he remarks! Krugman also notes that lack of education is not a driving factor for inequality in the US as some have argued. Instead, inequality in America is mainly a story about a small elite pulling away from everyone else, including ordinary college grads. In a short follow-up, Krugman adds that the change in income share in that period shows that just about all of the redistribution has taken place from the bottom 80 to the top 1. And stressing his point about education, It’s a tiny minority, not a broad class of well-educated Americans, who have been winning here. Noting that around the world there is a new global working wealthy dominating the new global elite, an earlier New York Times article notes for the US that the gap [in the US] between the super rich and everybody else is now greater than at any time since before the Depression of the 1930s . Furthermore, The richest one-hundredth of 1 percent of American families — about 15,000 — accounted for less than 1 percent of national income in 1974. By 2007, the figure was 6 percent, according to Tyler Cowen, an economist at George Mason University outside Washington. That difference translates into hundreds of billions of dollars. One concern some economists express about the emergence of a global plutocracy is that it may be driven, not only by seemingly benign forces like the technology revolution and global trade, but also by malign ones, particularly the elite’s ability to shape government and other public policy activities in its own self-interest. The rise of government-connected plutocrats is not just a phenomenon in places like Russia, India and China. The generous government bailouts of United States financial institutions prompted Simon Johnson, a professor of economics at the Massachusetts Institute of Technology, to compare American bankers with emerging-market oligarchs. In an article in The Atlantic magazine, which he later expanded into a book, Mr. Johnson wrote that American financiers had pulled off a quiet coup. Globalization has, as noted above, benefited a new working elite globally, not just in the US. They have largely pulled away from their compatriots , even in more egalitarian countries, such as Germany and various Scandinavian countries, while those already with large inequality in emerging developing countries are getting more unequal too. An even tighter 147 (about 1%) of these were described as super entities that controlled 40 per cent of the total wealth in the network. The problem with such super concentration is that a small minority can influence the world system disproportionately — what is good for them is not necessarily good for everyone else, for example. In addition, given the enormous position in the world system, a problem in just a handful of them can, and have, had a terrible effect on the rest of the economy as the current financial crisis has shown. Adam Smith, who was amongst the first to argue for free markets, had also warned against the impacts and undue influences of such concentration, but it would seem the modern TNCs have, in his name, achieved the same position. Inequality is usually associated with poorer, developing nations. But for many years, studies have shown that many wealthier nations also suffer from inequality, sometimes at levels similar to those of some developing countries. For example, the UN Habitat’s State of the World’s Cities 2008/2009 report has found that disparities within cities and between cities and regions within the same country are growing as some areas benefit more than others from public services, infrastructure and other investments. In addition, and almost counter to conventional wisdom, the report finds that in cities that have high levels of inequality increases the chance of more disparities increases, not reduces, with economic growth. This is because high levels of urban inequality have a dampening effect on economic growth and contribute to a less favorable environment for investment. The report also added that in such cities, the lack of social mobility tends to reduce people’s participation in the formal sector of the economy and their integration in society. This exacerbates insecurity and social unrest which, in turn, diverts public and private resources from social services and productive investments to expenditures for safety and security. As a municipal official, one has to decide whether to spend taxpayers’ money on road infrastructure, which in developing cities mostly serves higher income citizens with cars, or to spend it on public utilities and amenities, thus providing for a majority of the population, particularly benefiting the poor. This is why the major issues for today’s cities have to do with equality and politics, rather than engineering alone. Yet different priorities and interests easily result. For example, the report adds that in many developing cities, wealthier citizens live in private spaces and may even avoid visiting or walking around in city centers. As a result, they do not care much about city’s parks or public schools but may be more interested in better roads, for example. There is therefore a dilemma that the public sector faces compared to the private sector: for the private sector, deciding where to invest usually boils down to where the best returns will be. By contrast, in the public sector every project is ‘good’, a police station, a road, a school or a park all provide a benefit which is difficult to measure. In parallel with growing cities are growing informal settlements or slums. Numerous factors create this rise, from poverty in the countryside, changes towards neoliberal economic ideology, corruption, globalization factors and so on. The problem is so immense that, according to UN Habitat, approximately 1 billion people live in slums in the cities of the world — approximately 1 in every 6 people on the planet. While there have been some successes in reducing the number of people living in such areas in recent years by about a tenth (mostly in China and India), numerous problems persist. Without the ability to make their voices heard, people in informal settlements often find that in addition to less services, the threat of forced eviction is commonplace as private developers often want prime land for development. Amnesty International provides numerous examples of this from around the world. A short video summarizes a number of other videos they have compiled on this. Some settlements don’t have official recognition. As a result, residents have been denied a range of essential services provided by the government to other residents … [such as] water, sanitation, electricity, garbage collection, health, education, access roads and transport (from Amnesty International’s report: Kenya: the unseen majority; Nairobi’s two million slum-dwellers , June 2009, p.7). Kibera, Nairobi, Sub-Saharan Africa’s largest slum, from Share The World’s Resources work on Megaslumming. Kenya’s Kibera slum, Sub-Sharan Africa’s largest informal settlement, is an example of a massive settlement without official recognition which has been around for decades. The video clip shows that despite the hardships there is still a sense of vibrant humanity. Share The World’s Resources, an organization that produced the video, released the book Megaslumming which described this further, highlighting that despite the grinding reality of poverty, human nature can still prevail and people work together to help each other and are enterprising despite all the circumstances. In developing countries, where some 1 in 3 people living in cities are living in slum areas, the urgency to address this has never been more. With increasing migration to cities (almost half of humanity lives in urban areas), there is increasing pressures on providing sufficient resources in a sustainable way. Furthermore, as cities grow in this way, addressing greenhouse emissions from urban areas can go a long way to helping combat climate change. Some 3 million people per week were added to cities of developing world. Some American cities are as unequal as African and Latin American cities. For example, New York was found to be the 9th most unequal in the world while Atlanta, New Orleans, Washington, and Miami had similar inequality levels to those of Nairobi, Kenya Abidjan and Ivory Coast. Race is one of the most important factors determining levels of inequality in the US and Canada. For example, The life expectancy of African-Americans in the US is about the same as that of people living in China and some states of India, despite the fact that the US is far richer than the other two countries. India was becoming more unequal as a direct result of economic liberalization and globalization. The most unequal cities were in South Africa and Namibia and Latin America. Beijing was now the most egalitarian city in the world, just ahead of cities such as Jakarta in Indonesia and Dire Dawa in Ethiopia. Europe was found to be generally more egalitarian than other continents. Denmark, Finland, the Netherlands and Slovenia were classed as the most equal countries while Greece, the UK and Spain were among the most unequal. Conventional thinking on development issues is often characterized by many assumptions, clichés and rationalizations about the residents of slums. Challenging some of these core myths about slums can help focus on the structural causes of urban poverty that result in the rapid growth of informal settlements, as Adam Parsons from Share the World’s Resources organization notes. Although the above focuses on cities, more generally, rural areas exhibit more poverty than urban areas which is briefly looked at next. In addition, the section further below on poverty in industrialized areas also suggests that inequality is unfortunately widespread. Poverty and inequality in rural areas is also high, particularly in the developing world. The International Fund for Agricultural Development (IFAD), an international financial institution and a specialized UN agency, released a major report on the state of rural poverty in the developing world in December 2010. The Rural Poverty Report 2011 contains updated estimates by IFAD of the number of rural poor people living in the developing world, poverty rates in rural areas, and the percentage of poor people residing in rural areas. The report also includes new information on how many people move in and out of poverty over time. It points to what it describes as emerging opportunities for rural growth and development and suggests how to help rural women and men move out of poverty and become part of the solution for the global food security challenges of the next several decades. Changes over time are not the same in all regions, however. Likewise, sub-Saharan Africa’s rural poverty decline is also slow, where more than 60% of the rural population lives on less than US$1.25 a day, and almost 90% lives on less than US$2/day. Even within these regions, the IFAD reports that some countries and sub-regions fared better than others. Despite successes in areas like Latin America when using the internationally comparable $1.25/day poverty line, the report also warns that the numbers there that can be classified in poverty would be higher if using their own national poverty lines. In other words, inequality is high even while absolute poverty is slowly being reduced. IFAD also notes that women tend to do more work (for less pay) and are the primary care givers in virtually all rural societies, yet barely feature in recognition or policy. For more information, see this site’s section on women’s rights which goes into the above further. A Canadian study in 1998 suggested that the wealthiest nations do not have the healthiest people; instead, it is countries with the smallest economic gap between the rich and poor. At the end of August, 2008, the World Health Organization’s Commission on the Social Determinants of Health presented a 3-year investigation into the social detriments to health in a report titled the Closing the gap in a generation: Health equity through action on the social determinants of health. The poorest of the poor, around the world, have the worst health. Those at the bottom of the distribution of global and national wealth, those marginalized and excluded within countries, and countries themselves disadvantaged by historical exploitation and persistent inequity in global institutions of power and policy-making present an urgent moral and practical focus for action. But focusing on those with the least, on the ‘gap’ between the poorest and the rest, is only a partial response. … In rich countries, low socioeconomic position means poor education, lack of amenities, unemployment and job insecurity, poor working conditions, and unsafe neighbourhoods, with their consequent impact on family life. These all apply to the socially disadvantaged in low-income countries in addition to the considerable burden of material deprivation and vulnerability to natural disasters. So these dimensions of social disadvantage – that the health of the worst off in high-income countries is, in a few dramatic cases, worse than average health in some lower-income countries … – are important for health. Sir Michael Marmot, chair of the Commission, noted in an interview that most health problems are due to social, political and economic factors. The key determinants of health of individuals and populations are the circumstances in which people are born, grow, live, work and age, he says. And those circumstances are affected by the social and economic environment. They are the cause premature of disease and suffering; that’s unnecessary. And that’s why we say a toxic combination of poor social policies, bad politics and unfair economics are causing health and disease on a grand scale. Marmot expands on this further in the video clip. Even within a country such as the UK, then, the report finds that the average life-span can differ by some 28 years, depending on whether you are in the poorer or wealthier strata of society. This is discussed in more detail on this web site on this page: Global Health Overview. Various things can create inequality. Most common generalizations will be things like greed, power, money. But even in societies where governments are well-intentioned, policy choices and individual actions (or inactions) can all contribute to inequality. In wealthier nations, the political left usually argue for addressing inequality as a matter of moral obligation or social justice, to help avoid worsening social cohesion and a weakening society. The political right in the wealthier nations generally argue that in most cases, western nations have overcome the important challenge of inequality of opportunity, and so more emphasis and responsibility should be placed on the individual to help themselves get out of their predicament. Both views have their merits; being lazy or trying to live off the system is as abhorrent as inequalities structured into the system by those with wealth, power and influence. In poorer countries, those same dynamics may be present too, sometimes in much more extremes, but there are also additional factors that have a larger impact than they would on most wealthier countries, which is sometimes overlooked by political commentators in wealthy countries when talking about inequality in poorer countries. For example, in some poorer countries, a combination of successive military governments (often supported or aided by the West) and/or corrupt leadership, as well as international economic policy have combined to create debt traps and wealth siphoning, affecting the poorer citizens the most (because the costs such as the debt gets socialized ). Nigeria is one often-mentioned example, as Jubilee 2000 highlights where Western backed dictatorships have siphoned off much of the nation’s wealth in the past leaving the country under immense debt for later generations to suffer under. Indonesia is another example as part of this Noam Chomsky interview by The Nation magazine reveals. Latin America on the whole is another. Latin America has the highest disparity rate in the world between the rich and the poor: Internal, regional and external geopolitics, various international economic factors and more, have all contributed to problems. For example, the foreign policy of the US in that region has often been criticized for failing to help tackle the various issues and only being involved to enhance US national interests and even interfering, affecting the course and direction of the nations in the region through overt and covert destabilization. This, combined with factors such as corruption, foreign debt, concentrated wealth and so on, has contributed to poverty there. Race has also been a factor where Indigenous and Afro-descended people are at considerable disadvantage with respect to whites, with the latter earning the highest wages in the region. Into 2010, Inter Press Service (IPS) reports that 10 of the 15 most unequal countries in the world are in Latin America: Bolivia, followed by Haiti, Brazil, Ecuador, and Chile, which is tied in fifth place with Colombia, Guatemala, Honduras, Panama and Paraguay. The UK and US are often two of the more dynamic nations, economically and opportunities to make a very successful life is well within the realms of possibility. Yet, these two tend to have the worst levels of inequality amongst industrialized nations. Such levels of inequality implies that it is overly simplistic to blame it all on each individual or solely on government policy and white-collar corruption. While ideological debates will always continue on the causes of inequality, both the political left and right agree that social cohesion (social justice or family values, etc) is suffering, risking the very fabric of society if it gets out of control. Andrew Simms, policy directory for the New Economics Foundation in U.K. (which spear-headed the Jubilee 2000 campaign to highlight the injustices of third world debt) makes an interesting suggestion in the British paper, The Guardian (August 6, 2003). He suggests that as well as a minimum wage, for the sake of social cohesion there should perhaps be a maximum wage, too. Amongst various things, Simms notes that tackling inequality from the other end is important because the economic case for high executive pay in terms of company performance doesn’t hold up, and because highly unequal societies have a habit of falling apart. Crime and unhappiness stalk unequal societies. In the UK the bottom 50% of the population now owns only 1% of the wealth: in 1976 they owned 12%. Our economic system’s incentive structure, instead of trickle-down , is causing a flood-up of resources from the poor to the rich. Inequality leads to instability, the last thing the country or world needs right now. Even the former hardline conservative head of the International Monetary Fund, Michel Camdessus, has come to the conclusion that the widening gaps between rich and poor within nations is morally outrageous, economically wasteful and potentially socially explosive . Above subsistence levels, what undermines our sense of well-being most is not our absolute income levels, but how big the gaps are between us and our peers. Allowing the super-rich to live apart from society is as damaging in its own way as the exclusion of the poorest. It seems, however, that neoliberal economic ideology may lead many to think inequality is not important. This partial transcript of an interview with Britain’s then-Prime Minister, Tony Blair, by the BBC prior to the June 2001 elections, reveals an example of that where Blair appeared to evade the question of the importance of reducing inequality, and kept suggesting that he wants to improve the lot of the poor, regardless of the levels of inequality between rich and poor. Britain’s BBC aired a documentary on March 17, 2004, titled IF . It looked into a scenario of what would happen in a few years if the growing inequality in the United Kingdom continued to widen. While the predictions of what would happen are always tough to make, the documentary noted some important issues that are already present, and that also parallel many parts of the world today. Gated communities , while providing an opportunity to develop otherwise derelict areas, also represents a sign of growing inequality, whereby those who can afford to do so live in areas where security is paid for and managed to ensure undesirables are kept out. While this phenomenon is rarely discussed in the U.K. for example, it is a common thing in many parts of the world, including the U.S., Latin America and many other parts of the Third World that exhibit high inequality. These are times when the welfare state is failing people because it gives people a false sense of security and uses an element of coercion (payment of taxes to pay for the services). Yet, at the same time, the documentary noted, what is making this situation more complicated is that the super rich are taking advantage of globalization and all the loop holes it provides, such as off-shore tax havens. As a result, there is less the state is able to do, leading to further frustrations. In the U.K., it was noted that inequality has been increasing to levels not seen since around the Second World War. Such services are good at protecting everything that is a commodity and has a price. This typically implies possessions of individuals. The wealthy, the documentary also noted, can afford more private security than the poor. When a fear of crime exists then it is understandable that people will want security services that can protect their property. Furthermore, one would not expect an individual concerned with their own well-being to appear to sacrifice that for the sake of society. The concerns for their immediate family, children naturally take precedence. Regrettably though, a downward spiral potentially emerges that seems hard to get out of, because of the increasing fragmentation and exclusion that this results it. However, policing is meant to be more than protecting things of material value; the police are supposed to have social and human concerns for society as well, something a private security firm neither is mandated to have, nor is usually created for. Due to the different roles, the costs, structures and accountability are also different. If crime is perceived to be increasing and the police are not seen as trusted, people can, and do take actions into their own hands. Wealthier people of course can afford to take more measures. In theory then, one of the many things that makes up a functioning, stable and democratic society is an uncorrupted judicial system and law enforcement. Addressing the root causes of inequality would therefore seem to be where the challenge lies. The political costs of inequality are recognized and accepted as being too high. The economic costs of fighting effects are also high. Citing some research, the BBC also noted that for each dollar spent on poverty causes, seven dollars was saved on consequences. Unfortunately, governments are in a difficult situation, because they can try to address inequality, but they will anger the rich . 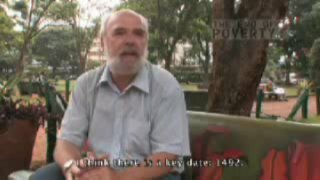 In May 2002, the BBC aired another documentary related to inequality, called The Experiment , where they showed in detail how inequality can turn good people to evil . The experiment involved a system of guards and prisoners. The prisoners eventually revolted against the initial inequality. However, some of the former prisoners themselves instituted what was becoming an almost fascist regime before the experiment was eventually stopped. In addition, any power vacuums, which inequality can create and exacerbate, can seriously threaten to undermine democracy. Inequality is also characterized by a concentration of wealth, which means a concentration of political power. Historically, one of the main reasons for continued poverty has been in order to maintain this power. In the developing world, there is a pattern of inequality caused by the powerful subjugating the poor and keeping them dependent. Outside influence is often a large factor and access to trade and resources is the usual cause. It is often asked why the people of these countries do not stand up for themselves. In most cases when they do, they face incredible and often violent oppression from their ruling elites and from outsiders who see their national interests threatened. we have about 50% of the world’s wealth, but only 6.3% of its population.…In this situation, we cannot fail to be the object of envy and resentment. Our real task in the coming period is to devise a pattern of relationships which will permit us to maintain this position of disparity.…To do so, we will have to dispense with all sentimentality and day-dreaming; and our attention will have to be concentrated everywhere on our immediate national objectives.…We should cease to talk about vague and… unreal objectives such as human rights, the raising of the living standards, and democratization. The day is not far off when we are going to have to deal in straight power concepts. The less we are then hampered by idealistic slogans, the better. … We should recognize that our influence in the Far Eastern area in the coming period is going to be primarily military and economic. We should make a careful study to see what parts of the Pacific and Far Eastern world are absolutely vital to our security, and we should concentrate our policy on seeing to it that those areas remain in hands which we can control or rely on. George Kennan, U.S. State Department Policy Planning, Study #23, February 24, 1948. (See also Foreign Relations of the United States 1948 , Vol. 1, No. 2, 1976 for the full text where this was first published; The text to the part on realism of US relations in the Far East; David McGowan, Derailing Democracy , (Common Courage Press, 2000), p.169; Noam Chomsky, What Uncle Sam Really Wants , (Odian Press, 1993), Chapter 2. While it is recognized that strong institutions, a functioning and non-corrupt democracy, an impartial media, equitable distribution of land and a well structured judicial system (and other such factors), etc. all help in realizing a successful nation and society, a lack of any of these things can lead to a marginalization of a sector of people. Often, it can be a very large sector. For example, those likely to lose out in such an equalizing effect are the rich, elite power holders. As a result of their ability to own and/or influence one of these above-mentioned things, they affect the lives of millions. This is a pattern seen throughout history. Take for example the medieval days of Europe where the wealthy of the time controlled land via a feudal ruling system and hence impoverished the common people intentionally. The rulers (Kings etc), would proclaim their Divine Right to rule over their subjects. They would heavily tax the people of their land. Not allowing the peasants to own the land upon which they lived meant that they would be stuck in poverty and dependency. When the elite could no longer tax the poor, they started to tax the wealthy nobility. While this helped bring more rights, once the people won, there were concessions made that allowed the elite to retain their power, but to share it a bit more. The old European city states, which were centers of wealth, would control their countryside as the source of their resources and production, and hence, the source of their wealth. If the countryside became more efficient and produced better, or threatened to trade with other neighboring cities, this would be seen as a threat to the wealth, power and influence of the city. These peripheries would therefore be raided and their means of production would be destroyed. The cities would fight over each other for similar reasons. For continual support, those rulers would proclaim various reasons to their people, of maintaining security and so on (not unlike what we hear today about national security). Even some laws were established that basically allow these practices. A strong military was therefore necessary (just as it is today) to ensure those trade advantages were unfairly maintained. Those European city states evolved into nation states and imperial powers, and the countryside expanded to include today’s third world , which was much of the rest of the world. The effects of colonialism and imperialism are still felt today. The discovery of the Americas, expansion of trade routes etc brought much wealth to these centers of empire which helped fuel the industrial revolution, which required even more resources and wealth to be appropriated, to continue this growth. Mass luxury consumption in Europe expanded as well as a result of the increased production from the industrial revolution. But this had a further negative impact on the colonized nations, the country side , or the resource-providers. For example, to keep profits up and costs down, they used slavery where they could, sometimes transferring people across continents, introducing others when indigenous populations had either been wiped out, decimated, or proved too resistant in some way. This process has also had an effect on the West, some of which continues today. Many Europeans and their descendants around the world have tried to look back at history and ask how it was that Europe and the West prospered and rose to such prominence. The late Professor J.M. Blaut accused many historians and others of employing self-congratulation and projecting eurocentric world views, whereby reasons for Europe’s rise were (and still are) attributed to things like favorable conditions for agriculture, for democracy to grow, and for economic superiority to take hold. Race and Christianity (in particular, Protestantism) were often claimed to be a factor, too. Blaut was critical of these and other underlying assumptions and belief systems that guided this view, showing many assumptions to be false, and suggested instead that colonialism and the “discovery” and exploitation of the Americas, with the plunder of silver, gold and other resources helped fund a European rise. Blaut’s work is presented in two books (though a third was never finished for he passed away), part of a volume called The Colonizer’s Model of the World . His two books are Geographical Diffusionism and Eurocentric History (Guilford Press, 1993), and Eight Eurocentric Historians , by J.M. Blaut (Guilford Press, 2000). As with the previous wars throughout Europe’s rise, World War I and II were also battles amongst the various European empires who struggled over each other to control more of the world’s resources and who would decide the rules of unequal trade . Except for religious conflicts and the petty wars of feudal lords, wars are primarily fought over resources and trade. President Woodrow Wilson recognized that this was the cause of World War I: Is there any man, is there any woman, let me say any child here that does not know that the seed of war in the modern world is industrial and commercial rivalry? Plundering the countryside to maintain dominance and control of the wealth-producing process has been an age-old process. The powerful and cunning had learned to plunder by trade centuries ago and societies ever since have been caught in the trap of those unequal trades. Once unequal trades were in place, restructuring to equal trade would mean the severing of arteries of commerce which provide the higher standard of living for the dominant society and collapse of those living standards would almost certainly trigger open revolt. The world is trapped in that pattern of unequal trades yet today. … If India and the rest of the world’s former colonies continued to take the rhetoric of democracy seriously and form the nonaligned bloc as they were planning, over 80 percent of the world’s population would be independent or on the other side of the ideological battle. And, if Japan, Germany, Italy, and France could not be held (it was far from sure they could be), that would leave only the United States, Britain, Canada, and Australia, about 10 percent of the world’s population, still under the old belief system, and even there the ideological hold would be tenuous at best. After all, if there were no countryside under the firm control of an imperial center, the entire neo-liberal/neo-mercantilist belief system will have disappeared. What Western nations were observing, of course, was the same potential loss of the resources and markets of their countryside as the cities of Europe had experienced centuries earlier. National security and security interests, which citizens were coached (propagandized) to believe meant fear of a military attack, really meant maintaining access to the weak, impoverished world’s valuable resources. The domestic prosperity worried about was only their own and the constantly expanding trade were unequal trades maintaining the prosperity of the developed world and the impoverishment of the undeveloped world as the imperial-centers-of-capital siphoned the natural wealth of their countryside to themselves. … Those crucial natural resources are in the Third World and developed world capital could never compete if those people had their own industrial capital and processed their own resources into consumer products. With their own industrial capital, and assuming political and economic freedom as opposed to world neo-liberal/neo-mercantilist law dictated by military power, they could demand full value for their natural resources while simultaneously underselling the current developed world on manufactured product markets. The managers-of-state had to avert that crisis. The world’s break for freedom must be contained. While European nations are now more cooperative amongst themselves (in comparison to the horrors of World War II) and the U.S. had long taken the lead in the international arena, for the rest of the world, international trade arrangements and various economic policies still lead to the same result. Prosperity for a few has increased, as has poverty for the majority. Today’s corporate globalization , is an example where the wealthier companies and nations are able to determine the rules, shape the international institutions and influence the communication mechanisms that disseminate information to people. In this backdrop, how do developing nations contend with poverty? During the Post World War II period, during the Cold War, poorer country governments often found that if they tried to improve the situation for their people, they could have been perceived as a threat or worse still going communist. They may have faced external pressure, external meddling in internal affairs or even military intervention by the powerful nations. The powerful nations would of course claim this was necessary for something like world stability, national interest, or to save the other country from themselves, but it would often be to do with protecting their national interests, such as a secure and constant supply of cheap resources or some other reason related ultimately to maintaining influence and power. This means that it is hard to break out from poverty, or to reduce dependency from the US/IMF/World Bank etc. Structural Adjustment (SAP), as described in a previous section on this web site, is an example of that dependency. Neoliberal economic ideology has been almost blindly prescribed to poor countries to open up their economies. The idea is that opening markets for foreign investment will also help improve exports and contribute to economic growth. Cutting back on social spending (e.g. health and education) which are seen as inefficient will also help pay back loans and debts. But what ends up happening is the poorer nations lose their space to develop their own policies and local businesses end up competing with well-established multinationals, sometimes themselves subsidized (hinting a more mercantilist economic policy for the rich, even though free market capitalism is the claim and the prescription for others). Hence, many back the economic neoliberal policies without realizing the background to it. It is another example that while international trade and globalization is what probably most would like to see, the reality of it is that it is not matching the rhetoric that is broadcast. An enormous proportion of the income of nations and individuals, nowadays, is blood money: payment exacted by the threat of death. Therefore the most prudent nation is the nation which is in the best position to levy blackmail.…Modern nations are highwaymen, saying to each other your money or your life, and generally taking both. J.W. Smith, The World’s Wasted Wealth 2, (Institute for Economic Democracy, 1994), p. 134. Most people don’t know—this is not an accident. It is in the interest of power-holders to ensure as little is questioned by outsiders as possible. Whether it be via an aristocracy or by simple distortion of information, educational systems, or whatever, different nations have had various means to handle this. Those that have opposed such things in the past may have been persecuted in some way. In some societies those who try to say something may just face ridicule due to the embedded belief systems which are being questioned, while in other societies, people may even face violent oppositions. [W]e should be familiar with the sincerity with which people will protect the economic territory that provides them their livelihood and wealth. Besides the necessity of a job or other source of income for survival, people need to feel that they are good and useful to society. Few even admit, even to themselves, that their hard work may not be fully productive. This emotional shield requires most people to say with equal sincerity that those on welfare are lazy, ignorant, and nonfunctional. Those above the poverty level vigorously insist that they are honest and productive and fulfill a social need. It is important to their emotional well-being that they believe this. They dare not acknowledge that their segment of the economy may have 30 to 70 percent more workers than necessary or that the displaced should have a relatively equal share of jobs and income. This would expose their redundancy and, under current social rules, undermine their moral claim to their share. Such an admission could lead to the loss of their economic niche in society. They would then have to find another territory within the economy or drop into poverty themselves. J.W. Smith, The World’s Wasted Wealth 2, (Institute for Economic Democracy, 1994), p. 90. Although in [the] early years the power brokers knew they were destroying others' tools of production (industrial capital) in the ongoing battle for economic territory, trade has now become so complex that few of today’s powerful are aware of the waste and destruction created by the continuation of this neo-mercantilist struggle for markets. Instead, they feel that it is they who are responsible for the world’s improving standards of living and that they are defending not only their rights but everybody’s rights. This illusion is possible because in the battle to monopolize society’s productive tools and the wealth they produce, industrial capital has become so productive that—even as capital, resources, and labor are indiscriminately consumed—living standards in the over-capitalized nations have continued to improve. And societies are so accustomed to long struggles for improved living standards that to think it could be done much faster seems irrational. J.W. Smith, The World’s Wasted Wealth 2, (Institute for Economic Democracy, 1994), p. 158. A French humorist once wrote, When it’s money you’re after, look for it where it is most abundant, among the poor. Governments now do this more than ever because the poor are rooted, stationary, slow ; whereas the big money is nomadic and travels at the speed of bytes. Stationary money (of local businesses, professionals, wage and salary earners) will be taxed to the limit for the simple reason that it can be got at. The World Bank is a major international institution involved in poverty and development. It has the capacity to lend a lot of money and expertise to developing countries and advise on development matters. The way the 2000 report was released highlighted another problem with the World Bank, and how it doesn’t like to accept criticism on the current forms of globalization and neoliberalism. For the 2000 report, Ravi Kanbur, a professor from Cornell University had been asked to lead up the report team. Kanbur won respect from NGO circles as he tried to be inclusive and take in a wide range of views, something the Bank has been criticized for not doing (which is a problem in itself!). However, as the report was to be published, he resigned because he was unreasonably pressured by the Bank to tone down sections on globalization, which, amongst other things called for developing nations to accept market neoliberalism cautiously. The World Bank was apparently influenced itself by the US Treasury on this—this is not new though; critics have long pointed out that the Bank is very much influenced by the US, thus affecting the chance of real progress being made on poverty issues around the world. The Washington Consensus has emerged from the Asia Crisis with its faith in free markets only slightly shaken. Poverty eradication is now the menu, but the main dish is still growth and market liberalisation, with social safety nets added as a side dish, and social capital scattered over it as a relish. The overall implication of the resignation is fairly clear. The US does not want the World Bank to stray too far from its agenda of economic growth and market liberalisation. Ravi Kanbur’s draft has raised a few too many doubts about this agenda, and strayed too much towards politics. To keep the Bank afloat Wolfensohn has to steer between two major constituencies. The first are the critics, the second is the US Treasury. You don’t need to be a World Bank economist to do the cost benefit analysis. To save the Bank, and his own reputation, it is essential that the Bank’s policies and public pronouncements do not err too far from its main shareholder and political protector, the US Treasury. The World Bank has often come under criticism for its development projects not actually helping the societies that they claimed they will. One such example is the numerous dam projects that have seen lives devastated, where millions have been displaced and people have not seen the benefits promised, while at the same time, the environment has degraded and crucial arable land has been flooded. This is discussed further on this site’s hunger and poverty causes section. Another example is the devastating Structural Adjustment Policies pressured upon poor countries by the First World, The World Bank and the IMF. These have had devastating consequences for much of the third world, though benefiting the First World. Another example involves a recent Chad-Cameroon oil pipeline project, which started construction in 2000. The World Bank had also stressed commitments to ensure policies were observed that would protect society and the environment, while helping millions of poor in Chad out of extreme poverty (Chad is the fifth poorest country in the world) and also providing land-locked Cameroon with much needed revenue. The World Bank’s actual monetary investment amount was just four percent of the cost. However their participation and stated commitment to poverty-combating development gave political backing that allowed multinational oil companies (who were the main investors) to raise sufficient capital on the international capital markets, which they would not have been able to otherwise do. The World Bank had therefore highlighted this project as a prototype for the extractive industry, designed to carry oil wealth not to a few but to the mass of the poor. AfricaFiles is an organization about African issues from the perspective of human rights, economic justice, and African perspective and alternative analysis. Given the World Bank’s claims and presenting this project as a flagship of sorts, AfricaFiles issued a report looking to see how the World Bank’s claims held up. Oil corporations cannot be transformed into development agencies even with the best intentions and monitoring mechanisms referring to the sidelining of time-intensive parts of the project such as capacity building and taking social and environmental issues into consideration. The World Bank is incapable of respecting its own weakening safeguard policies, which are premised on controlling damage rather than avoiding harm. This is particularly significant as Africa banks on the increasing trend in Foreign Direct Investments (FDIs). The embryonic neo-liberal governance structures in Africa are incapable of forcing FDIs, which are principally attracted by ground mineral resources, to respect ecological and social principles. This cannot be over-stressed, especially as the World Bank prepares to engage in what it calls high risk/high reward projects in developing countries. The flawed contention of the World Bank is you cannot eat omelettes without breaking some eggs. As this paper has demonstrated, the eggs most often broken are those of the poor who are left with no alternative livelihood. The paper has also noted the high level of corruption, implying that those who would eat the omelette so to speak, would be the wealthy elite and multinationals. Public Private Partnership [PPP], the buzz paradigm of sustainable development, is fundamentally incapable of addressing the unequal power relation between fattening multinationals, weakening states and the World Bank, in this era of globalisation. AfricaFiles also, interestingly, suggested the World Bank use its precious resources to support more renewable energy sources development rather than oil, which has had so much political, economic and environmental problems associated with it. This was also a recommendation from a report commissioned by the World Bank itself, which has not been followed. In mid-2004, the committee set up to oversee transparency in the oil revenues in Chad has protested about the lack of resources from both the government and the oil company involved, and that people in Chad were becoming disillusioned at the project. In September 2005, the human rights organization, Amnesty International criticized the project investment agreements for undermining human rights, noting that, The investment agreements governing the project risk seriously undermining the ability and willingness of Chad and Cameroon to protect their citizens’ human rights, making the oil companies de facto unaccountable in the pipeline zone. Nearby fisherman and farmers have also been denied access to water and land, and that there is a prevailing climate of fear and intimidation around the pipeline, some of whose critics have already been arrested and intimidated. In mid-January, 2006, the BBC reports that the World Bank shut down the Chad oil account which was to keep 10% of the oil revenue for future generations of people in Chad. The Chad government argued it needed to fight against poverty now and had a right to that revenue and signed a law allowing access to that account early. Earlier, the World Bank had suspended some loans, too. Some will raise concern of possible intention for corrupt practices by the Chad government, while others will see the World Bank’s influence at play here, preventing another African country to determine its own policies and be accountable to its own people. The World Bank also provides the main source of poverty figures, such as those presented further above. The $1 dollar a day poverty line (now upgraded to $1.25 dollars a day using newer data and updated techniques) has also fallen under criticism in the past. For example, during the long period the $1 dollar a day measure was used the World Bank was criticized for almost arbitrarily coming up with a definition of a poverty line to mean one dollar per day. In addition, as also stated in the previous link, in the United States for example, the poverty threshold for a family of four has been estimated to be around eleven dollars per day. The $1 a day (now $1.25) definition then misses out much of humanity. Indeed, as the chart earlier showed, the number of people living on under $10 dollars a day is estimated to be just under 80% of humanity (95% of developing countries). To be fair, the World Bank did explain why they did not use a $10 dollar a day poverty line. They felt that Learning that (possibly) 95% or more of the [developing country] population is poor by such a standard is unlikely to have much relevance, given that US standards of living are not within the foreseeable reach of most people in a typical developing country. Another critique of the $1 a day figure came from Columbia University, called How not to count the poor . Incorrect extrapolation of limited data giving the false impression of precision while masking the high probably error of the estimates. These errors, they feared, would lead to a large understatement of the extent of global income poverty and to an incorrect inference that it has declined. (Emphasis added). At the same time, it allowed the World Bank to insist that the world is indeed on the right track in terms of poverty reduction strategy, attributing this success to the design and implementation of good or better policies . Since that report, the World Bank has indeed revised the poverty line as explained earlier and they noted more people were in poverty than previously realized. The links provided earlier from the World Bank do provide a better explanation of why their poverty lines were chosen as they were. And while the data this time significantly includes China and India for the first times, they also acknowledge various challenges with collecting the data. However, while they have also given their reason for not using a $10 a day poverty line (because most poor people are unlikely to reach that level in the foreseeable future), we must still wonder if poverty, and its effects, are worse than the figures reveal. As an aside, Morgan Spurlock, the Oscar nominee for his documentary Super Size Me where he went 30 days on a diet of burgers to see what the effects would be, produced another documentary where he tried to live on the minimum wage of $5.15 per hour for 30 days. At times he was earning $50 to $70 a day and yet the tremendous hardships he faced was incredible (including a ludicrous $40 for a bandage in a hospital, and some $500 for just being seen to). As mentioned earlier, poverty in industrialized nations is also an important issue. While many poor in wealthy countries may not be in absolute poverty as the many poor people in developing countries, the relative poverty and high inequality in many wealthy nations creates significant issues. The gap between rich and poor has grown in more than three-quarters of rich countries since the mid-1980s, according to a study of income inequality and poverty by the Organization for Economic and Cooperative Development (OECD) released in October 2008. In addition, the study finds that the economic growth of recent decades has benefited the rich more than the poor. However, amongst those 30 countries, results are mixed. The study finds, for example, that the past five years saw growing poverty and inequality in two-thirds of OECD countries. Canada, Germany, Norway and the United States are the most affected. The remaining third—particularly Greece, Mexico and the United Kingdom—have seen a shrinking gap between rich and poor since 2000. As summarized by an OECD briefing , the income of the richest 10% of people is, on average across OECD countries, nearly nine times that of the poorest 10%. USA, where the ratio is 16 to 1. In Nordic countries, however, such as Denmark, Sweden and Finland, the gap is much smaller. The incomes of the richest 10% average around five times those of the poorest 10%. Although the elderly are more likely to be poor, the risk of them falling into poverty has reduced over the last two decades such that people aged 66-75 are now no more likely to be poor as the population as a whole. Worryingly, however, children and young adults have poverty rates that are now around 25% higher than the population average, while they were below or close to that average 20 years ago. The OECD report noted for example UK’s shrinking gap between rich and poor. Back in 2000, the UK was the worst place in Europe to be growing up if you were poor, as more children were likely to be born in to poverty there, compared to elsewhere in the EU. Despite a period of boom, in April 2000, the UK National Office of Statistics found that disparities between rich and poor continued to grow in UK. In April 2008, the BBC noted that after 30 years of unprecedented economic growth, the British are richer and healthier — but no happier than in 1973. As well as growing inequality and other issues, the BBC noted that the UK figures follow trends from around the world that show that happiness and satisfaction do not correlate with average income once countries reach middle-income levels. In addition, one in six UK adults reported that they suffered from a variety of mental health problems in the latest survey, of which the largest category was mild anxiety and depression. As Britain’s wealth generally increased, improvements in health were also accompanied by unhealthy luxury consumption including excessive alcohol consumption and excessive unhealthy eating creating a rise in alcohol related deaths and in obesity. However, although there has been some improvement, there is a long way to go. A UNICEF report in February 2007 found that UK is failing its children as it comes bottom of all industrialized nations in terms of child well being. UK child poverty has doubled since 1979, for example. As another example, it may be surprising for some readers to learn that the United States, although the wealthiest nation on Earth, has often had one of the widest gaps between rich and poor of any industrialized nation. United For a Fair Economy reported that for 1998 almost 70% of the wealth was in the hand of the top 10%. In another report, they mentioned that the gap had widened in recent decades. In 1989, the United States had 66 billionaires and 31.5 million people living below the official poverty line. A decade later, the United States has 268 billionaires and 34.5 million people living below the poverty line-about $13,000 for a three-person family. Inter Press Service also summarizes an updated report by the US Census Bureau that 1 in 7 people in the US are in poverty. In 2009, 43.6 million people — 14.6 percent of the population - were living in poverty in the U.S., up from 13.2 percent of the population in 2008. The United States currently has the highest number of people in poverty it has ever had since the government began counting in 1959, although the percentage of people this represents is lower than it was then (due to the increased population size since then). As with Britain, even during the booming economy in the late 1990s and early 2000, there was an increasing gap between the rich and poor. Into 2002, fighting poverty did not appear to have been a major election campaign issue (nor was it in previous election campaigns). Then chairman of the Federal Reserve, Allan Greenspan, revealed concerns in mid-2005 that the increasing and widening income gap might eventually threaten the stability of democratic capitalism itself in the US. The above-mentioned UNICEF report on child health found that as well as the UK being ranked bottom of all rich countries, the US ranked second to last. The report suggests that absolute wealth isn’t necessarily a guarantor of poverty alleviation or a measure for indicators such as child well-being, and factors such as inequality are also important. And it isn’t in just these two industrialized nations that these problems persist. A Guardian news report, for example, shows that certain types of poverty in various European cities can be regarded as worse than in some other parts of the world which one would not normally think would compare with Europe, such as India. This section has now moved into its own page, called Corruption. Shah, Anup. “Poverty Around The World.” Global Issues . 12 Nov. 2011. Web. 21 Apr. 2019. <http://www.globalissues.org/article/4/poverty-around-the-world>. December 7, 2009 Added a section on inequality in industrialized nations and how that may be more important than economic growth, because most health and well-being indicators are related more to equality than growth, once a nation has industrialized. Also added a couple of videos on aspects of poverty. July 3, 2004 A World Bank and multinational company project for the Cameroon-Chad oil pipeline reveals that despite the World Bank assuring people that local people’s interests will not be sacrificed, the opposite indeed happened.